Lagunitas Brewing will be releasing two interesting new beers from the One-Hitter Series. Sakitumi Ale and SuperCritical Ale (only available in California). See details below. 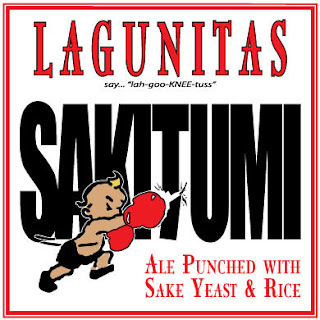 Courtsey of Lagunitas Brewing Co. This Raging Bull'uva Double-ish IPA is punched with Sake Yeast and Rice, then hopped-up for a cold-clip of counter-balanced bitterness... it just don't mean a thing if it ain't got that swing! We put our mad scientists to work recently & we pulled the terpenes from some of NorCal’s finest cannabis (sans THC) and brewed it with some of Yakima’s finest hops. Brewers have long known about the close connection between cannabis and hops, and now, Lagunitas Brewing Company, with the help from our friends at CannaCraft’s AbsoluteXtracts, are announcing their twofold “SuperCritical” project for California-wide release. This new SuperCritical Ale, a part of our One-Hitter series, will be available only in markets across CA beginning this week and the vape cartridges will be available in appropriate outlets after that. (Dates for the cartridges are subject to AbsoluteXtracts' production schedule). 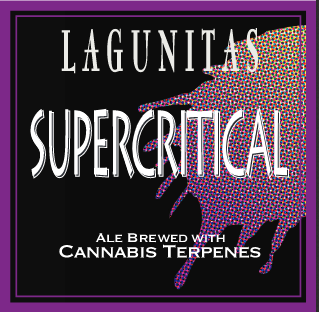 For more information, visit www.lagunitas.com/supercritical.